You never forget your first A500. Mine was a A500+ that I saved up my paper round money to buy, my pride and joy parted ways for a year or so in 1997 until I bought it back from a friend. It was finally lost after an international move a few years later. The current A500 residing in the retro corner is a later NTSC model I found through craigslist here in Denver. I brought it home, set it up, plugged it into an old Commodore 1702 CRT and fired it up, and then I froze. The familiar ticking of the drive performing a disk search triggered a deep forgotten memory that had been buried for 20 years. 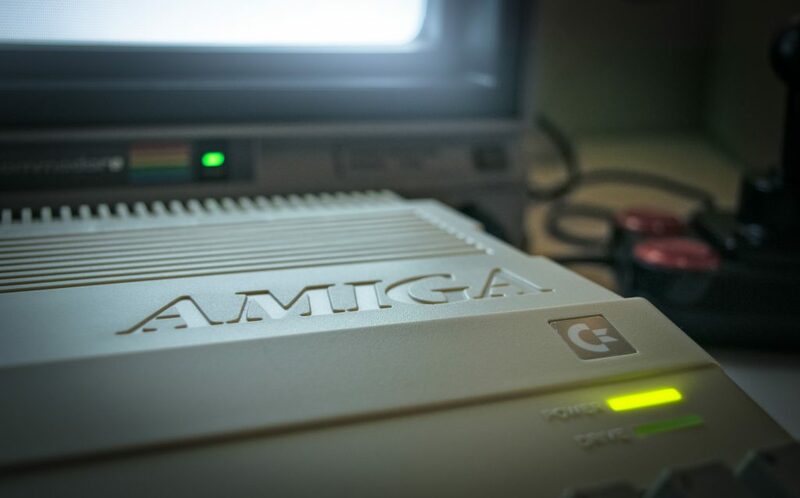 The Amiga is certainly not as fast as our modern tools (or even phones for that matter) and configuring them to perform basic tasks such as sending an email is an 8 hour hair pulling exercise, but I see them now as an art form. Both in the their form factor for industrial beauty and for the unique works they can produce, the gritty sound they produce has been finding it’s way into the workflow of modern artists and DJ’s. The distinctive, limited palette of the maximum 12bit visuals are becoming popular again. But what I miss most about working with the machine on regular basis is it’s personality. Using the machine you can feel the creativity that went into designing it. I’ve heard on more than one occasion this machine being described as the last computer made you could understand from a technical perspective.